The 6th Prize to be awarded is the Leaning Tower! So…you get the tower after collecting 22,120 paintings. Hey…maybe the paintings are stored in the top of the tower…maybe that’s why it leans!! So as I mentioned, you have a choice with this one. Place it or store it…it doesn’t really help with the Event. 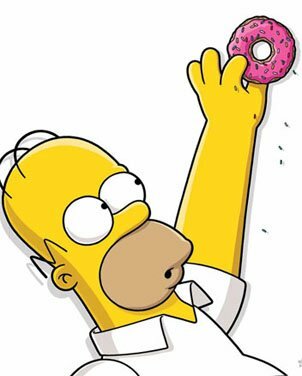 Homer: There. I’ve finally finished building the Upright Tower of Pisa. Bart: Hey, I-Beam Brain, the tower is supposed to lean. Homer: Easily fixed. I’ll get super-drunk. Then EVERYTHING looks to me like it’s leaning. Marge: If we all push together, I bet we can make the tower lean. 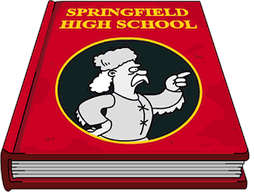 Lisa: That is what the Simpsons are best at… making things worse. I know this will be in Alissa’s town. Mine…maybe. We’ll see. But it is FREE…right? NEXT UP? 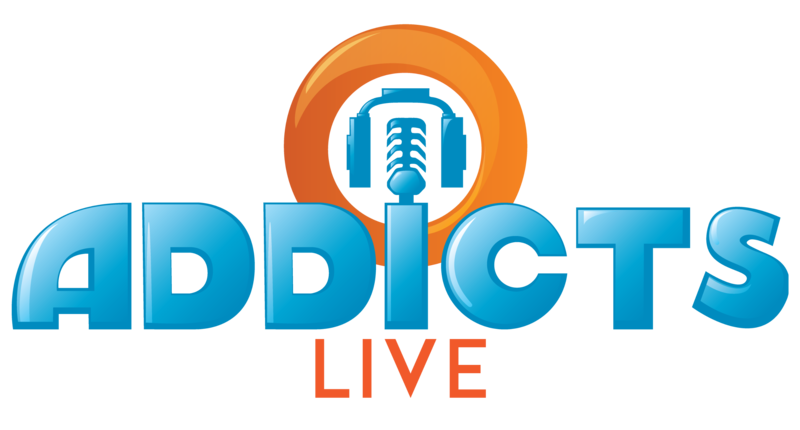 Grandma Musolini…and you DON’T want to miss this one! 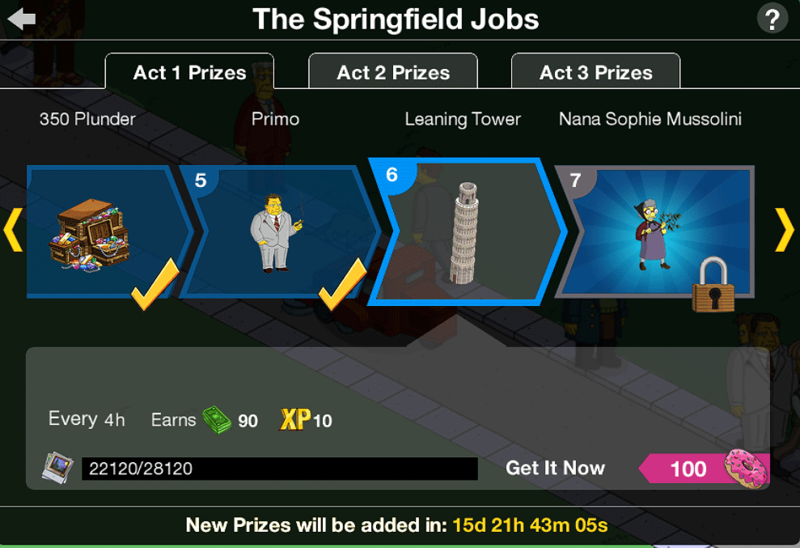 This entry was posted in Tapped Out and tagged Tapped Out Tips and Tricks, The Simpsons, The Simpsons Tapped Out, TSTO Addicts, TSTO Leaning Tower, TSTO Springfield Jobs Prize Guide, TSTO Tips and Tricks. Bookmark the permalink. Anybody a fan of lame jokes. Imo the worlds funniest joke and the worlds lamest joke are on par. I do know the worlds funniest joke ever told! I might share it here someday. For now..here’s a lame one. 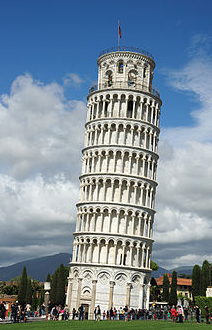 Why does the Leaning Tower of Pisa lean? Because it’s Italic. Just a reminder everybody…start saving your daily tasks tomorrow for act 2. You can complete the tasks, just don’t collect your rewards until after act 2 starts…you will then be paid in the new currency. I thought the Italian dialogue was hilarious. I’m a polock who grew up laughing at polish jokes at the dinner table. Beautiful views and floors that marbles roll across. Built on bay fill 1849er ships abandoned and later built on and mud pile on top to create bay front property. ~40 years ago the Bank of America Bldg dunk piers about 140feet deep into bedrock. The Trans America pyramid laid a ~20 foot thick solid slab of concrete as a base. They haven’t leaned at all. Funny how everyone can make fun of the Italians and their dialect, but for any other race or religion it becomes hate speech. As an Italian,and my grandfather came here as a young man…it doesn’t phase me. If you can’t laugh at yourself you shouldnt laugh at anyone else. Plus, I think it’s a compliment more than anything. Also, Italian isn’t a race or a religion…It’s a nationality (or ethnicity). And the Simpsons and TSTO make fun of loads of nationalities..
During a visit to Pisa, we climb the Tower. There is a great view from the top of it. We couldn’t descend for more than a half hour, a German got stuck on the top stairs because of his high buoyancy. I like that…I’m not overweight, I’m highly buoyant…or is that buoyantly challenged? i worked in the radiological department of a hospital where we were not allowed to call a patient fat, drunk,..
Ha ha, must remember that – high buoyancy. It took some time, but the penny dropped. Buoyantly challenged would be a skinny person. I actually used to be buoyantly challenged until my early 20’s, but after 25 years of hard work I have now successfully become highly buoyant.